In the last post, I mentioned that a good deal of this year sucked something fierce. Well, it dug itself even deeper over the past couple of days. I'm not even talking about the death of Carrie Fisher and her poor mother Debbie Reynolds who, in all seriousness, seems to have died of a broken heart. Last night, while looking at Facebook on my phone for the umpteenth time, I discovered that my longtime friend Richard Schnap had died. At this point, I don't know the details surrounding his death. I'm not exactly sure how old he was, though I think he was 58. People on the Pittsburgh music scene, especially those who were around in the mid-to-late '80s, might recall Richard as a member of the Cynics, playing guitar and keyboards. He was with them when original singer Mark Keresman was still in the band, and also when he was replaced by Michael Kastelic. He added a great dynamic to the band, balancing the raw garage fuzz with some jangly Byrds-y kind of influence. But prior to joining the Cynics, he played in a band called Toxic Shock that started life as an all-female punk band that actually got shut-off at the Electric Banana. When Richard and his friend Larry Anderson joined the band, the group was more of a scruffy Velvet Underground-influenced band with male/female harmonies -- and a lot of great songs. Following his time with the Cynics (which I found out tonight was only a year - a virtual blip on the radar, considering the Cynics' 30+ year existence), Rich was involved with a handful of other groups, which often had a wild conglomeration of people, culled together more by friendship than anything else, again playing some pretty interesting songs: The Third Mind (which only last one show, in a set that opened with version of "The 39 Lashes" from Jesus Christ Superstar, in which vocalist Jeff Masko began with a Morrison-esque recitation before counting off the lashes); Graceland (with vocalist Dean Novotny, a natural showman with an operatic voice like Klaus Nomi, drummer/artist Scott Turri and metal bassist/funnyman Greg Bloom); the Shroud (which included Bloom and man about town Steve Heineman at one point); and the Side Orders (a duo with vocalist Alice Winn). While some of these bands left people wondering what the hell was happening onstage, that query was often balanced out by the songs they played, which was written largely or altogether by Richard. He was a poet who had a knack for stringing together hooks and great stories when he put his mind to it. There were a few Toxic Shock songs that resurfaced in the Cynics, and probably in later bands as well. I met Richard when I was in high school. Nine years my senior, he knew my brother John from Pitt, and he was also a fixture at the Record Recycler, a used record store in Squirrel Hill that was run by Keresman. (Richard and I were a few of the folks who would sit behind the counter when Mark needed to go out.) We hit it off immediately because we both loved talking about music and we were both interested in a lot of it. Back in those pre-internet days, one got their musical knowledge from magazines, books (the beloved Rolling Stone Record Guide, love it or hate it), college radio, in addition to good old fashioned crate digging. One day he played me a practice tape of Toxic Shock in the Recycler. I was really transfixed. They weren't punk, but they had a rawness that they balanced with some great songs. Not sure if this is revisionism, but I felt like they were closer to the ideas I had in my head. All I wanted to do back then was be in a band, and Rich encouraged me every step of the way. Not only that, he helped me connect with some people that became very valuable in my life. Barb Madaus, who played/plays in Bone of Contention with me, had been the drummer of Toxic Shock. Not only was she a drummer, she was a singing drummer, a plus in my book. I only saw Toxic Shock once, but that was enough to convince me that, when looking for drummers, that Barb could be the one. Richard connected us, and I never looked back. A few months after getting together with Barb, Richard came up to me and said, "I have a guitar player for you - Patty Pisula." We hadn't found a guitar player yet, and this Patty person, who also worked as the music director at Pitt's WPTS, played guitar but had never been in a band. Sign her up. More on her in a moment. Not only did Richard help me connect with these people (and subsequently, with Lila Shaara, the missing fourth piece of the BoC puzzle back then), he became my running buddy of sorts. I was underage in the fall of 1985, but, don't worry, you'll be able to get into the Upstage, he said. Long before the 61C Cafe existed at the corner of Murray and Bartlett, Richard was convincing me to meet him there - at the epitomy of greasy spoons, George Aiken's - for coffee and talk about music and plans and hopes for the future.We'd also take in the local old gents from the neighborhood, pondering what their life stories might be. Then the big thing came in early 1986. A telemarketing place had opened in Oakland, where he, Mark and about three other dudes from bands found work. They were calling for a few liberal organizations. By Christmas of '85, I was flat-broke, dropping out of Duquesne University and in bad need of a job. I wasn't eager to talk on the phone, but I was desperate to make money. Next thing I knew, this insecure kid from Squirrel Hill was working side-by-side with these cool music guys. A month later Patty started working there. Richard and I were hanging around each other three or four nights a week, starting at work and often ending up at Chief's Cafe, down the street. Or maybe we'd end up at Patty's apartment in Panther Hollow, till the wee hours of the morning. Six years later, I started dating a woman from Ohio who started working the same office, marrying her four years after that. Most people don't last in telemarketing that long. Somehow I did it for 12 years, until greener pastures finally came along. And earlier this year - almost 30 years to the day that I started working there - I went back because times were tough. The other guys are all distant office memories, though Patty is there as office manager, and seeing her every morning makes the day go better. I owe all of that to Richard. He talked the place up and built me up to believe that I could do it too. I never believe that "everything happens for a reason" malarkey. But I do really believe that where you are on a particular day at a particular time can impact you life in long-term ways. And I think that Richard did that for me. I once started an entry with my favorite quote from It's a Wonderful Life, which comes from Clarence, right when George is realizing what would happen if he had never been born. Now it seems appropriate to place it at the end of this post. "Strange, isn't it? Each man's life touches so many other lives. When he isn't around, he leaves an awful hole, doesn't he?" I've got a few particular albums that I want to write about, but I've been busy getting together an article about Andrea Parkins (found here in City Paper and in a show tonight) and working on a JazzTimes piece. But the NPR Music Jazz Critic's Poll came out this week too. Since I participated I have to link it here. Suffice to say, 2016 was a good year for jazz releases, even if almost everything else this year sucked something fierce. Take a moment to check out the list, along with the color commentary by Francis Davis. Then buy some of this music with the money you get for Christmas. 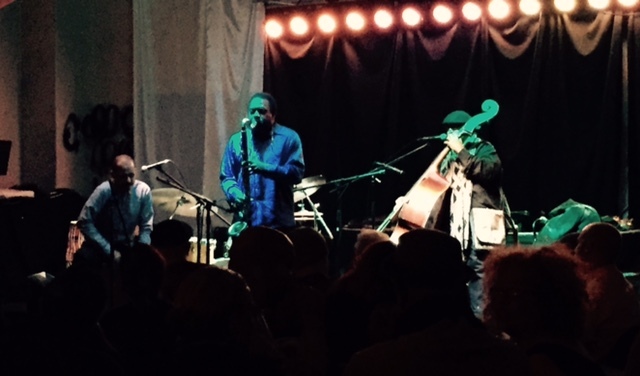 In the past seven days, I saw locals Thoth Trio in an unfortunately too rare show, the Ritual Trio (David Murray, Kahil El'Zabar & Harrison Bankhead, above, left to right) and William Parker & Patricia Nicholson. Pretty good week for music, methinks. Thoth played at a space that's actually called the Space Upstairs, a really nice looking loft that's apparently being hosting performances for ten years. Granted, ten years ago I was off the local music grid (Pulp was two years gone and I wouldn't start writing for City Paper for another year) but this is the first time I'd heard of the place. Dance seems to be a big part of what the locale is all about. Throughout Thoth's two sets difference dancers would move across the hardwood floor, responding to the music. It wasn't like cliched "jazzzzzz" dance. The women and men doing it were really graceful and their movement seemed to pay attention to what was being played. Ben Opie (saxophones), Paul Thompson (bass) and Dave Throckmorton (drums) were in fine form. Plus there was coffee, although it took them awhile to brew it. Last Sunday, the Ritual Trio played at the James Street Gastropub. Locals will understand the raised eyebrow by the combination of venue and music. James Street is a strong supporter of jazz and a great space, but rarely does it host a group so avant as these three. The reason in this case is the guy who brought them to town couldn't get into any other space. David Murray and I had a late night chat for an article the week before the show.After resigning myself to the idea that I'd have to write the article based on memories (albeit strong ones) of Murray's previous Pittsburgh appearances, as well as his records, my phone rang at 10:00 pm the night before the article was due. Our conversation went so well, David being very loquacious, that I scrapped what I had written and started over, the morning after we talked. The results are here. James Street was standing room only for these guys, which was really exciting since shows like that (especially on a Sunday night) don't always draw well. All three members of the trio had been to Pittsburgh within the last 13 months. Murray came with the World Saxophone Quartet in September. 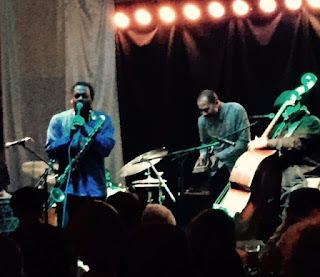 Bankhead came to the Thunderbird with a bass and drums quartet called the Turbine! back in November of 2015. Kahil El'Zabar was here in the spring with the Ethnic Heritage Ensemble. El'Zabar uses the same template each time he's come to town: playing on song on the amplified kalimba/mbria, one on the trap kit, one on a hand drum - set one; set two might be close to that with some variation in order. It's always a great show, but it's set up the same way. Putting David Murray into the equation and a bassist (EHE has two horn players) throws some key elements into it. Murray's strong personality fit right in with El'Zabar's vision. The tenor saxophonist stayed close to straight-ahead jazz at first, complete with chord changes. But he quickly tore them up and rebuilt them. 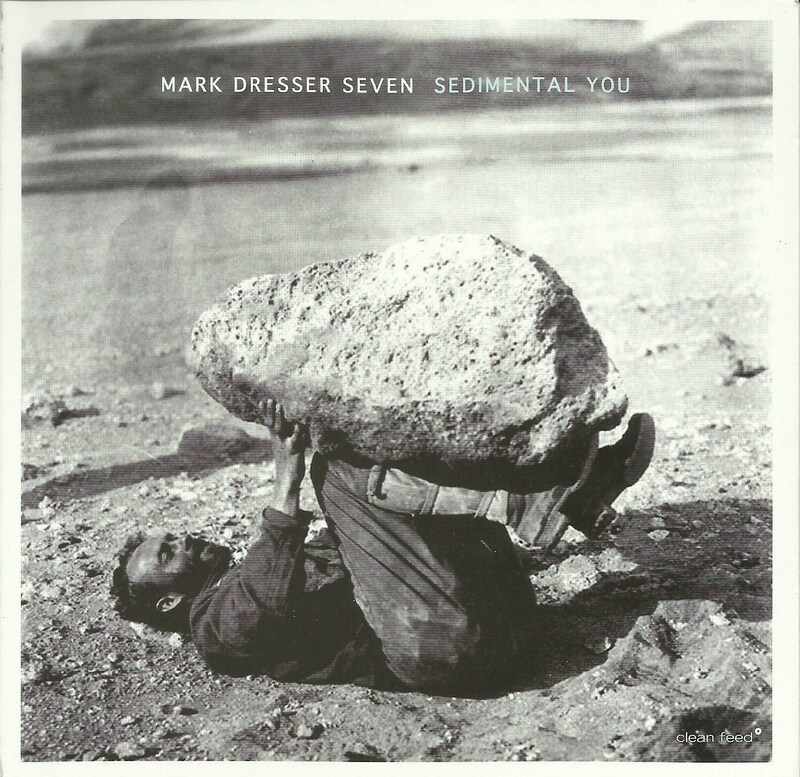 With the droning mbira songs, he made sure that things never waned, especially when he was playing bass clarinet. "One World Family," a song Murray and El'Zabar have returned to several times over the years, was a powerful groove number with a hope for a better world. Bankhead played the anchor of the group, adding some of his own strong solo technique to the music in a few instances too. City of Asylum brought in bassist William Parker and dancer/concert organizer/artist/poet Patricia Nicholson Parker (husband and wife too) on Wednesday of this week. CoA is still putting the finishing touches on Alphabet City, a space on the North Side which will host a restaurant, book store and performance space. But despite the almost-but-not-quite-there aspect, this is where they hosted the couple and the intimate space presented a good vibe for the event. The evening began with a performance - Parker on bass, Nicholson dancing and reading poetry. I'll admit that I'm more a fan of the music. Especially Parker, who epitomizes the ability to project your life experiences through a performance on an instrument. His command of his whole instrument is something to watch. Without any other musicians to cover up his nuances, you hear a lot more of what he's doing. Like the dancers at Space Upstairs, Nicholson moved very expressively onstage, bending and reacting to the music. During the nearly one-hour continuous performance, she read poetry that could be both pensive and hopeful as well as energizing. After the performance, the duo took questions from the audience. They wanted to keep the discussion on the topic of what role the artist has in society. The work these two in New York is admirable. Nicholson organizes the VISION Festival each year. Parker plays consistantly with a number of different musicians, having released over 150 albums. That being said, Q&A sessions involved such detailed questions like "what's the artist's role" are things that I'd rather miss, in large part because there are usually detailed but ultimately vague questions by audience members. That did happen on Wednesday, though not all that much. It was good to hear them talk, although some references to the new administration brought back some of the dread I've been trying to keep at bay. Of course it was great being up close and personal with the two of them. Plus, the event was free. And over by 10 pm! As if this hasn't already been a year when a huge number of influential musicians have died, I read this morning that Greg Lake has joined the list. My initial reaction was to curse to the heavens: NOT ANOTHER ONE. Yeah, I was never the biggest Greg Lake fan. He seemed like he was the one member of Emerson, Lake and Palmer who was still on a high horse after all the years of excess have fallen by the wayside. But, damn, that doesn't mean you have to take him too. And so soon after Keith Emerson's death. And what about poor Carl Palmer? Is anyone rushing to his side to offer solace? When Keith Emerson took his life earlier this year, I posted an appreciation of him and of the way that ELP's music impacted me. Greg Lake was part of that, of course. He was the voice of the band. He provided some levity after all the heaviness. Plus he was the voice of King Crimson, roaring through distorted speakers in "21st Century Schizoid Man," a thunderous debut if there ever was one. Not to mention "In the Court of the Crimson King," with its majestic chorus and sea of voices. I played that album earlier this evening (even the meandering "Moonchild") and it felt really good. You can feel the intensity of this young band, finding their sea legs and channeling their excitement into the music. You step back from the music, away from everything that followed it, all the stigma that's attached to it, and try to imagine the band itself. What comes through is that first-time energy. That's why, despite the pompous quotes that I've read over the years from Mr. Lake, that I feel the loss. The way that music hits you - encapsulating that certain time that you remember really discovering it, coupled with that feeling of what it must've been like to play it - means you'll never completely forsake it. It's almost like the feeling you may have for a sibling: You might go through periods where you don't see each other. You might really dislike them. They might have said something to you decades ago that still burns you to this day. But you'll always come back to them because of that connection you have. On top of all that, I was reminded that 36 years ago tonight, John Lennon was killed. A friend commented that it might not exactly be a "Where were you when Kennedy was shot" moment, but I think that it is INDEED that moment for people my age. At least those who are really into music. Sure, Jimi Hendrix, Janis Joplin, Jim Morrison and even Elvis had already died. But none of them were shot by a deranged fan. THAT was the game changer, even if it took several years to realize what it meant. I was in bed on Monday, December 8, 1980. I can't remember if I had fallen asleep yet or not, but my brother Tom came into my room. Being a somewhat jerky/wiseguy of a 13-year old, I got mad at him for bothering me. Then he told me why: they had just announced on tv that Lennon had been shot. Tom said they hadn't confirmed his death yet. Or maybe he soft-pedaled it, saying things were up in the air. But I recall laying there in bed, thinking, What if he is dead? The next morning, I remembering hearing the phone ring while I was still in bed. It was my CCD teacher who was fairly young (at least younger than my folks) and pretty hip with us kids. She wanted to make sure I knew. Before long, I came down for breakfast (it would be a couple more months before I became part of the alleged Dawn Patrol and started delivering the Post-Gazette and had to wake up early) and got the word. Yes, John was dead. All day WDVE, the only station I listened to back then, was playing Beatles and solo Lennon music. I had a reputation for being a Beatles fanatic at school, although by that time, my enthusiasm for them had waned a bit, replaced by the adolescent obsession with the Doors, which would die down in a few months as I discovered weirder strains of psychedelic rock, and eventually headed into punk rock. But years later, a woman who had ridden the school bus with me, recalled in a complimentary way that on that school day, December 9, I wrote "Lennon Forever" in the condensation of the bus windows. The respect was a bit too late to boost my insecure ego, but in retrospect, it was nice that someone noticed. Because when you're in 8th grade - surrounded by kids who act like assholes because they're too afraid to admit that they're just as confused about life changes as you are - writing a name on a window is sometimes the only way you know how to express your gratitude to a musician who will never get to hear it from you directly. "The parks are really something fantastic. The idea is purely American. It came out of American ideals. Preservation. But right now those right are being violated by Congress because Congress controls it and they use it as political hay to raise money. They sign out huge areas of it underneath to companies for wheat and all kinds of food growing things. So it’s a commercialization that we can’t really afford to have...It belongs to all Americans, living and dead and those that have come before." Wadada Leo Smith told me all of that last spring, prior to his appearance at the Pittsburgh JazzLive International Festival. He was in the midst of recording America's National Parks, a two-disc set that features his latest suite, in six parts. It continues in a line of large scale compositions like Ten Freedom Summers (2012) and The Great Lakes (2014) The current one pays tribute to three of the country's actual national parks along with three places or people that Smith considers to have merit equal to the parks themselves. His Golden Quintet for the session includes longtime bandmates Anthony Davis (piano), John Lindberg (bass) and Pheeroan akLaff (drums), along with newcomer Ashley Walters (cello), who adds a dynamic color to the music, working together with Smith's clarion trumpet work. 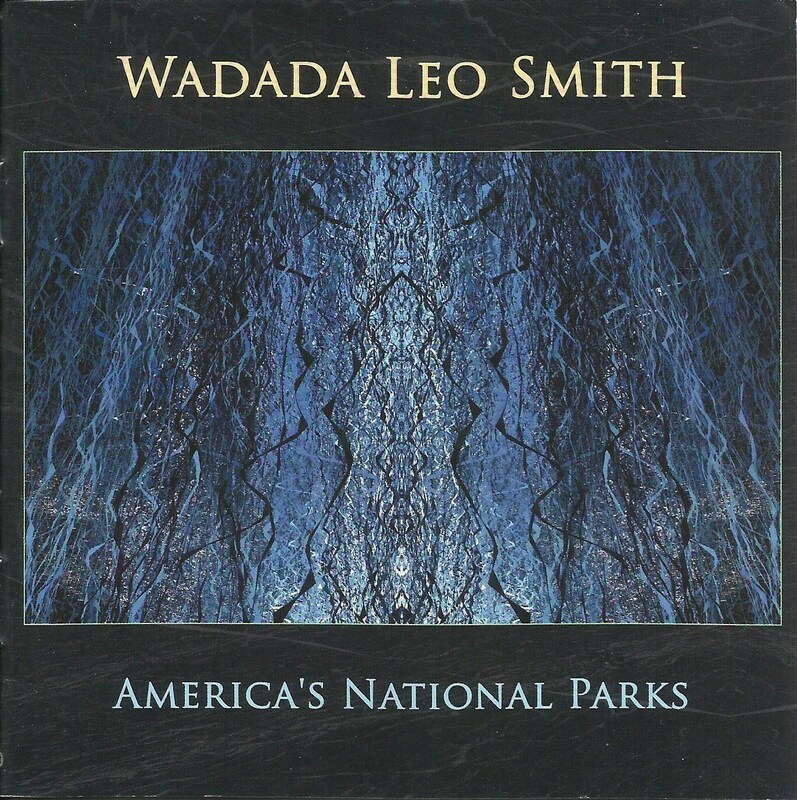 While the concept of the music relating directly the subjects could be scrutinized and detailed, even without the titles and/or a background of each subject, America's National Parks maintains Smith's stature as a composer of powerful music that blurs the line between modern chamber music and free improvisation. "New Orleans The National Culture Park USA 1718" opens the album with a multi-sectioned 20-minute opus. A rigid groove eventually gets more steady as Smith's muted trumpet solos over it, followed by cello and piano. His crisp horn work could keep going, but just past the half-way mark, following a Lindberg solo, the groove break into free time, which Davis, Lindberg and Walter all use with vitality, before restating the opening theme. "Eileen Jackson Southern, 1920-2002: A Literary National Park" takes its inspiration from the African-American musicologist who founded the journal The Black Perspective in Music, from which Smith has written. While not as long as the preceding track, its nine minutes still arrive with great detail, with beginning with rich long tones that are Smith's calling card. "The Mississippi River: Dark and Deep Dreams Flow the River - a National Memorial Park c. 5000 BC," which begins the second disc, is the longest section, with over 30 minutes of ruminations. The first half of the track feels slow and contemplative with steady drum crashes, droning and then searing cello and bass, then spareness. Midway in, the band sets up a vamp, and Smith jumps on top of it, blowing powerfully. The three other tracks take their names from actual parks: Yellowstone, Kings Canyon and Yosemite. Of these, the closing "Yosemite: The Glaciers, the Falls, the Wells and the Valley of Goodwill 1890" (all the titles are a mouthful and must frustrate writers who have to abide by a word count) has some of the most exciting moments of the whole disc. Smith stands alone following the opening theme, playing what almost sounds like an elegy, asking listeners to take his beliefs to heart, like the ones stated in the quote above. After some ringing piano chords and droning cello, akLaff takes an extended solo that also feels thunderous and joyous. The visceral and complex solo can make you want to hear more of the drummer's work. 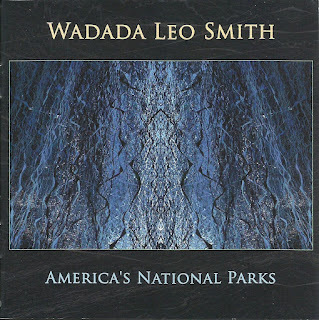 Wadada Leo Smith's work asks quite a bit from listeners: time, open ears, understanding of, and empathy for, the inspiration for the material. But by following this lead, he not only delivers music heavy with a message and content, he shows how his compositions connect to things beyond the performance stage or the CD player. "Music is like air, you know. It pervades the whole space around the earth," he said in our interview. America's National Parks is proof positive of that deep connection between air and music. While that might sound like flaky idealism to a cynic, it rings true in light of the way our environment is treated these days too. When the payoff is good, that's all that matters. I realized that this morning as I was finishing a quick preview article on saxophonist David Murray. I had been trying to get in touch with him for a couple weeks. Well, I started putting in a sincere effort maybe about a week ago. Murray had been on tour with Terri Lyne Carrington and Geri Allen in Europe and the only number I had for him was an overseas cell number. I'm always reticent to do interviews on people's cell phones as it is. The sound quality can be hit or miss and that can make me miss some subtleties of the conversation, which normally can deepen the discussion when they're heard. Then there's the time change difference, coupled with not knowing when someone might be asleep or not. After a few attempts to leave texts at the international number, and a voicemail left on the same number (at least I think it was his, but I'm unsure since the outgoing message was a French female voice), I got Murray's domestic cell number from Kahil El'Zabar, with whom Murray will be playing next weekend. At the start of this week, Murray was back in the states. No luck. My deadline was already stretched and I was starting to pull something together last night, based on my knowledge of Murray's career. Then, at 10:00 pm, the phone rang. There he was! We wound up talking for half an hour, him being very candid about his partner El'Zabar (bassist Harrison Bankhead will be with them too, on Sunday, Dec. 11), about being a musician with an original voice and massive discography, among other things. So I scrapped the whole article I had started and began fresh. It was much better as a result. It'll run in Pittsburgh City Paper next Wednesday. Check it out, and check out the group that weekend. No one had to pay to see the World Saxophone Quartet back in September, so it shouldn't hurt to pay to see Murray, El'Zabar and Bankhead.